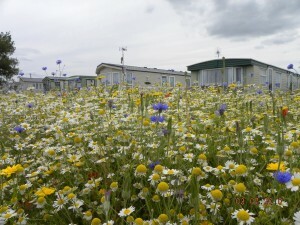 For the owner or visitor, meadows in holiday homes help create the idea of a natural garden. Once established they will bring Butterflies and Bees into the garden over the long summer holiday season. 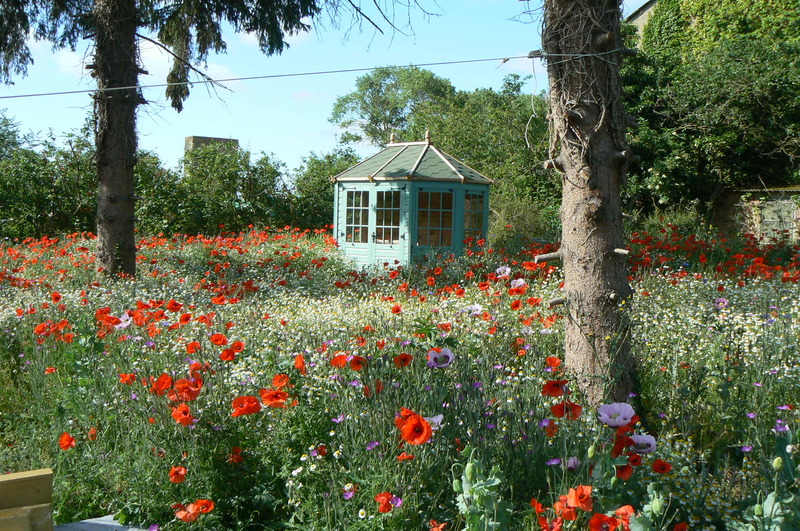 Once established a wild flower meadow will take a lot less maintenance than a lawn and cost about the same in term of lawn seed to establish. Wild flower meadows are generally a mixture of meadow grasses and perennials wild flowers. The idea is that you leave the meadow to grow out in the summer. You then have a meadow about 2 to 3 feet in height with wild flowers in it and the grasses as the back drop. They are designed so that you get different wildflowers at different heights and colours over the summer season. Meadows will need cutting down and removing at least once a year, normally in early September. 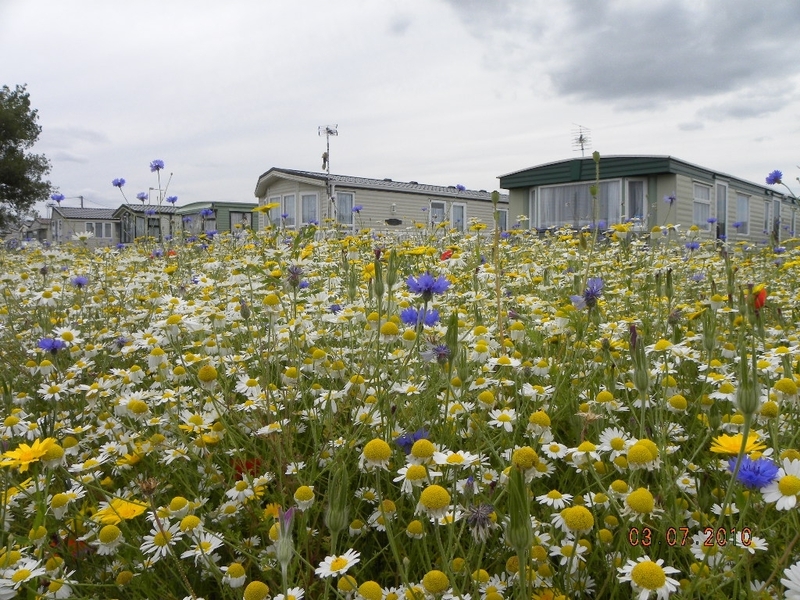 There are two types of wildflowers that are commonly sown at rural holiday homes. Annuals such as Poppy, Cornflower , Corn Marigold etc. The annuals are more colourful, but generally only last one year. You need sow them every year to see them again. The perennials are not as colourful, but if cut back, will grow back and flower again next year. Make sure you clear the ground before planting. Match the meadow mix to the soil conditions or site. You sow meadow mixes at 4 grams to the sq metre, wild flower mixes at 2 grams. The seeds should be sown, weather permitting, Mid March to Mid May or Mid August to Mid October. Once established wildflower meadows should not need much work. Leave to grow out over the summer and then cut back at the end of August early September . 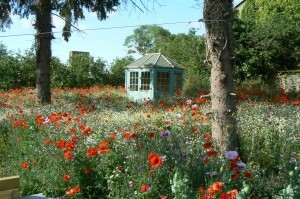 Once established the wildflower meadow should offer you a low maintenance, low cost option for your property. It will also be attractive to those visiting the property as well as beneficial to the local wildlife such as Bees and Butterflies . If you need any more information about Meadow at Holiday Homes. Then on our website there is a wide range of advice. Or you can contact us direct by email at shop@meadowmania.co.uk or by phone on a free phone number 0800 854399 .